We have the perfect room for you! 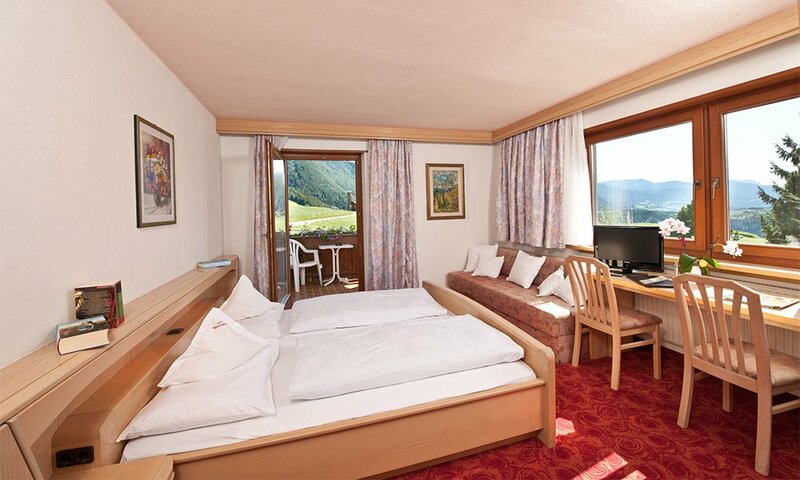 At the Hotel Rosenheim, we offer you a wide range of comfortable rooms. What are you looking for? What is particularly important to you? We will be happy to meet your individual needs with the ideal accommodation in Rodengo. We have 24 spacious double rooms – most with balcony – for you to choose from. We are sure that together we will find the perfect room for you, where you may spend an unforgettable holiday here with us in Val Giovo Gitschberg! Our comfortable double rooms are equipped with shower, toilet, hairdryer, telephone, balcony, 22 “HD flat screen television and a safety box. Throughout the entire house, we offer you free Wi-Fi. You will like the interiors: Your accommodation in Rodengo is flooded with light, and tastefully furnished with many details in wood. Enjoy the view across the beautiful landscape. You will feel a spontaneous desire to go exploring. On the balcony, you may round off your day with a glass of wine and admire the fascinating glow of the setting sun on the mountain slopes. Please look at our special offers, too. 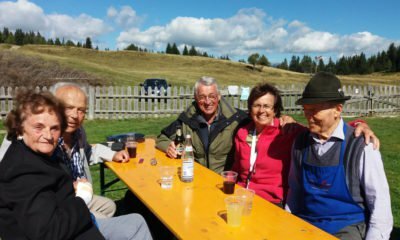 Accordingly, the AlmencardPlus – which with your booking during the promotional period is free of charge – gives you free access to many tourist attractions in the region. 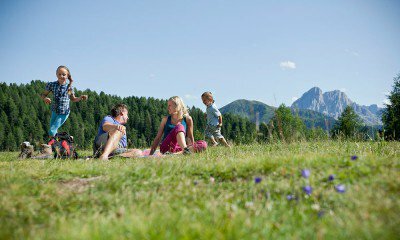 With our special deals, we offer active vacationers, families on holiday, hikers and seniors the perfect starting point for their holiday experiences in Gitschberg Val Giovo. Would you like to find out more about our rooms and book immediately? Feel free to contact us. Simply send us an email or call us.